HBA have been appointed to work with multi-disciplinary consultants, Sweco, and BAM Construction as part of the British Antarctic Survey's Construction Partnership Team delivering projects associated with the new Polar Research Vessel, the RRS Sir David Attenborough. Our initial work is focussing on projects on the sub-Antarctic islands and extends our experience of working in remote and cold regions. 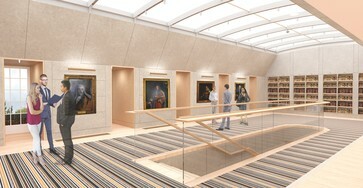 Following a competitive tendering process we are pleased to announce that Sir Robert McAlpine Special Projects have been appointed as the main contractor for the multi-million pound redevelopment and refurbishment of the Treasury and Hall which we have designed for the Honourable Society of the Inner Temple. 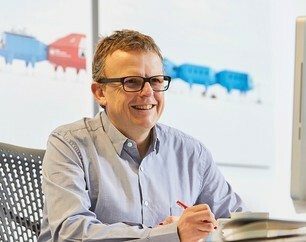 Hugh Broughton has made his first appearance in 'The Progress 1000: London's most influential people of 2018', as one of London's most influential visualisers. The list, compiled by The Evening Standard, spans 11 different categories and includes 30 notable architects.